There has been much debate about the mention of Israel in the Egyptian annals. One of the most contested interpretations occurs in the Merneptah Stele where appears the hieroglyphic word ‘Yssrair’ which many scholars insist refers to Israel. The problem which plagues this interpretation is that the word is followed by determinatives which mean a people rather than a determinative which means a foreign land. The Merneptah Stele was written between 1213 – 1203 BCE or during the Late Bronze Age. Scholars place the Kingdom of Israel during Iron Age I or approximately 900 BCE, which would make the interpretation of the word Yssrair as Israel impossible. However, there was a location in Israel which the Biblical authors named Jezreel, meaning (the god) El sows (seed). This location was known as the Qina Valley to the Egyptians who controlled this area of Canaan during the Late Bronze Age and Iron Age I. The Egyptians controlled this area and used local and imported corvee labor to work the land according to Am Heltzer who published Society and Economy in the Eastern Mediterranean, C. 1500-1000 B.C, pgs 182-184. These laborers had a history of revolting against their Egyptian masters and their appointed lackeys who ruled the region. According to Amarna letter EA250 they are referred to simply as the people of the land of Gina. Their local name was never mentioned which is unusual as most Egyptian inscriptions mention the name of a people as separate from their locales as the Shasu of Yhw (Bedouin of Edom), the nHsy (Nubians), TmHw (Libyans) etc. There is not mention of Qinites in Egyptian annals, so the people of Qina must have been known by another name and that name was Yssrair or Jezreelites. The name designates the farming status of the people who inhabited the Valley of Qina. They were sowers of seed and their god was El. The Biblical authors appear to have renamed the Valley of Qina as Jezreel after the ‘sowers of seed’ or Jezreelites known to the Egyptians as Yssrair. “The city list of Asher begins with Helkath, located in the southeastern quadrant of the territory. Helkath rested in the ever important Jezreel Valley, near Megiddo. During the time of the Judges, the Israelites fought against the Canaanite king Jabin and his commander Sisera (Jdgs 4). Sisera’s forces were stationed near Helkath, and the Canaanite forces gathered for battle against Deborah and Barak in Megiddo. The battle itself took place near Mt. Tabor. So, Qina/Qanah/Kanah/Jezreel was the inheritance of Asher along with the tribe of Issachar who also inherited parts of the Jezreel Valley. The people who worked this valley for their Egyptian masters were the Jezreelites or Yssrair in the Merneptah Stele. They were the sowers of seed who worshipped El that Merneptah massacred after they revolted. The name Jezreel says it all! The Jezreelites sowed the valley on behalf of El while the Egyptians dedicated this valley to Amun. This alone would be enough to instigate trouble. Peasant revolts were common as is mentioned in Amarna letter EA250. There is absolutely no doubt that the Egyptian name for Jezreel was Qina and that the Yssriar who inhabited and cultivated this valley were the Jezreelites. The interpretation of the Egyptian word Yssrair as Israel is mistaken. The correct interpretation should be Jezeerlites. 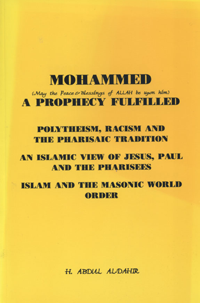 Mohammed, A Prophecy Fulfilled: The essays in this publication contain information which Muslim need in order to understand the religion and the politics of the non Muslim communities in which they reside. 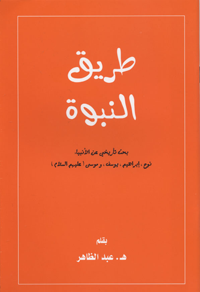 The book contains facts which will help the Muslim present Islam in a way that will help their non Muslim neighbors learn about Islam in the context of their own beliefs. For a copy of the publication contact the author. 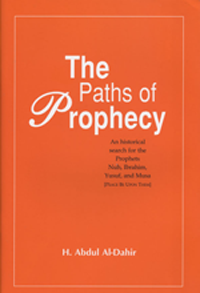 The Paths of Prophecy (English & Arabic) is an historical search for the homelands of the Prophets Noah, Ibrahim, Musa and Yusuf. 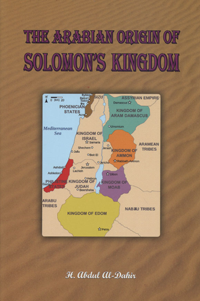 The Arabian Origins of Solomon’s Kingdom (English & Arabic) uses both the Quran and the Bible as well archaeological, etymological, historical, and genetic data to trace the true tribal origins of the Prophets that preceded Solomon. This text also confirms that the descendants of these tribes have continued to inhabit the ancient territory of Solomon’s kingdom as they have done for thousands of years before even a single prophetic scroll was penned.